What Taiwan lacks in size (the island measures just over 36,000 square kilometers) it makes up for in exciting attractions and natural beauty. Whether you’re after huge peaks or vibrant night markets, this Asian island is perfect for every type of traveler. From markets in Shilin and Danshui to enormous malls, restaurants, and nightclubs in Xinyi and Ximen, there’s a huge range of shopping opportunities in Taiwan’s capital. Don’t leave the city center without visiting Taipei 101. Once the world’s tallest building and home to the fastest elevator, you can reach its 89th floor in just 37 seconds! Taipei 101 was once the world’s tallest building. Taipei also acts as the perfect base for great day trips. Take the MRT to Yangmingshan National Park for scenic hiking routes over dormant volcanoes, or take a short trip to the tea-growing district of Maokong for picturesque tea fields. Yangmingshan National Park is a great day trip from Taipeh. While in the North, don’t miss out on the stunning Guanyinshan National Scenic Area and Yilan Coast National Scenic Area. The former features the rocky north coast, rivers, waterfalls, and hot springs, while Yilan is home to quiet bays, colorful marine life, and rice paddies. The northern districts also offer lots of vibrant cities. The old port city of Keelung, for example, hosts a bustling night market, as well as tropical plants and intricate temples in its Chung Cheng Park. The city of Keelung is located in northern Taiwan. The city of Dixi, meanwhile, is perfect for a peaceful getaway, thanks to the tranquil Shimen Reservoir. The Taroko Gorge in the Taroko National Park features 20 kilometers of marble walls that stretch hundreds of meters down to the Liwu River. Enjoy more watery wonders at the surf breaks of the East Coast National Scenic Area or the whitewater rafting routes of the East Rift Valley National Scenic Area. The Taroko Gorge is located in the Taroko National Park. Hualien is one of the most popular eastern cities, thanks to its traditional tea rooms, night markets, galleries, and the scenic Meilunshan Park. Taitung, meanwhile, is home to the relaxing Zhiben Hot Springs and makes for a great base for day trips to the islands of Ludao and Lanyu. Taitung is home to the relaxing Zhiben Hot Springs. The latter is particularly well-known for the Ludao Lodge, where thousands of political prisoners were unjustly held. After you’ve learnt about its history, relax in the Zhaori Hot Springs, one of only two known natural saltwater hot springs in the world. Yushan National Park is a nature lover’s dream, with a range of wildlife including bears, deer, and more. It’s best known, however, for Yushan, the highest peak in Northeast Asia. At 3,952 meters tall, it’s the perfect spot for hiking in the summer and skiing during the winter. Take a break in the Taichung Park. 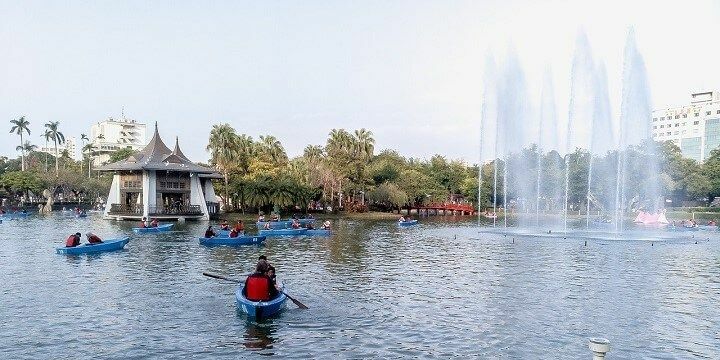 Rejuvenate in the city of Taichung, where the Feng-Chia Night Market offers incredible street food and the Taichung Park hosts a peaceful boating lake. 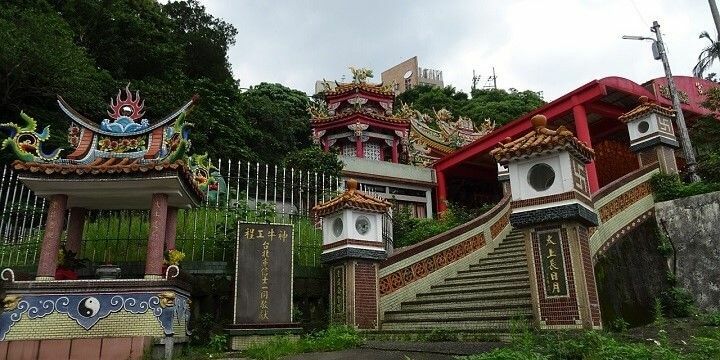 It’s also worth visiting the fascinating city of Daija for Mazu temples and to witness the Daija Mazu Pilgrimage, Taiwan’s largest religious festival. The vibrant city of Tainan is famous for its Dadong Night Market in the East District, where you can try oyster omelette and stinky tofu. You should also visit the city of Kaohsiung for parks, galleries, restaurants, and panoramic views from the 85 Sky Tower. Don't miss out on Tainan located in southern Taiwan. Although the Maolin National Scenic Area was badly affected by Typhoon Morakot in 2009, it’s still home to plenty of natural beauty. Marvel at the three-tiered Liangshan Waterfall, the colorful butterflies in the Maolin Ecological Park, as well as thick bamboo forests, tribal villages, and impressive mountains. Kenting National Park features great beaches. 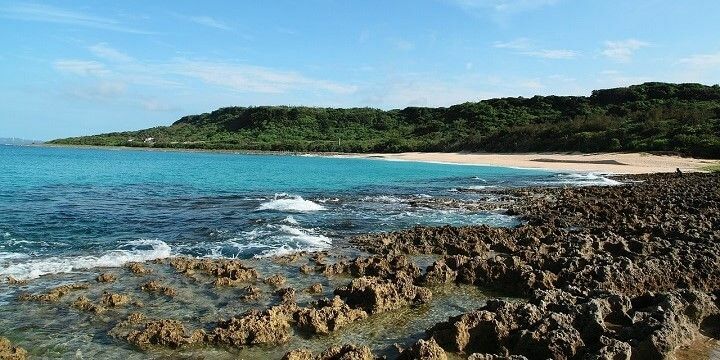 If you’re more of a beach bum, visit the sandy stretches in Kenting National Park. The most popular beaches are located near Kenting Town, where you’ll find premier surf spots and busy seafront bars. Located between Taiwan and China, these islands offer a quiet escape from the busy mainland. 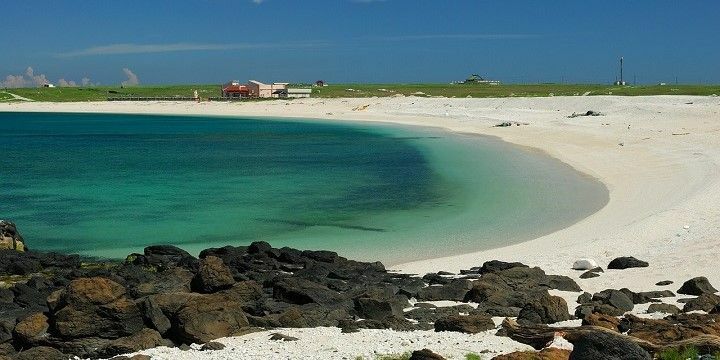 The Penghu Islands are the closest to Taiwan and are best known for their gorgeous beaches, which are popular among windsurfers, sailors, and kayakers. The Taiwan Strait Islands are located between Taiwan and China. The Kinmen and Matsu Islands are closer to China. The former’s beaches are full of litter; however, its historic sights, old houses, and religious statues are well worth visiting. The Matsu Islands are much better suited to beach bums, with popular sandy stretches on Nagan and more secluded spots on Beigan. It might be a small country but there are plenty of things to do and see!